Mexico could auction off shale acreage as soon as the second quarter of next year. 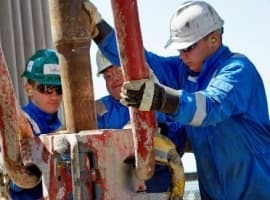 Mexico’s energy secretary said last week at Rice University that the government could begin shale auctions at some point after March 2017, another step forward in the country’s historic opening up of its energy sector. Mexico is sitting on what many think are vast shale oil and gas resources in the north, which are thought to be extensions of the Eagle Ford shale in South Texas. Mexico ended the monopoly ownership of its energy reserves by the state-owned Pemex a few years ago, and began listing reserves on auctions for private companies. The idea was to bring in international capital and expertise to help boost flagging output. 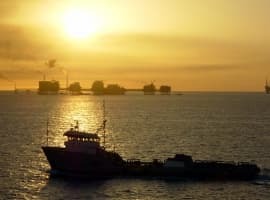 Some shallow water auctions in the Gulf of Mexico have already gone forward, but the auctions for shale were scrapped following the collapse of oil prices. Mexico’s oil production has been in steady decline as Pemex has struggled with aging fields and rising debt. The oil market crash over the past two years has strained the state-owned company even further, with the finances having “taken a huge blow,” Coldwell said. That, in turn, has dealt a blow to the national government’s fiscal position. Bloomberg reports that the cost of insurance on Mexico’s bonds has surged, an indication that the markets are losing a bit of confidence in the creditworthiness of Mexican debt. Both Moody’s and S&P have a negative outlook for Mexico’s credit. The energy reform initiative will help, Mexican officials hope. Opening up the sector has already led to $22.4 billion in investment commitments from international oil companies. Next year, with new shale acreage on offer, more investment could flow into the country. Obviously, the same geology under South Texas and New Mexico extends into Mexico. How far it extends, is the only question. And how much oil can be obtained. It is impossible to know without a few test wells being drilled. There could be billions of barrels of oil down there that new drilling technology might profitably produce. Horizontal drilling and fracking changes everything. The safety and political situation down there is a different problem. The political situation is stable and clear in that the Mexican government is set on extracting ridiculous concession from E&P companies. I would be surprised if there is much interest in investing in Mexico under those circumstances. Safety is fairly good in such isolated areas and security is dramatically better of late. 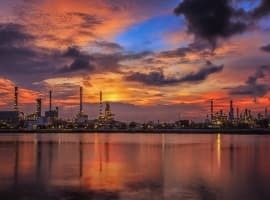 Can oil be extracted? of course. American technology can extract blood from a stone. Remember there is no infrastructure to transport product and that alone would cost billions.